If you came to the Nintendo conference expecting the announcement for new games, I'm afraid you'll have to wait till a separate reveal tomorrow. What they did show was definitely nothing unexpected and the distinct lack of third-party titles made me a little sad. The previous installment came out in 2004 so a sequel has been a long time coming. New Pikmin types and a tease about 4 new characters. I can only assume that they will all be simultaneously working together to solve maps, allowing other players to drop-in and drop-out using the second WiiU gamepad or any of the other Wii controllers. Seems like the standard affair but the English imagery makes it all a bit more homely for me being of English background. I've always wanted to experience what it would be like to have my home overrun by a zombie outbreak. The WiiU gamepad provides another level of immersion. I'm not wild on the idea of having to wave the brick that is the gamepad around to fend off zombies but the idea that I can use the hi-def screen in my hands to do intricate actions is very appealing. 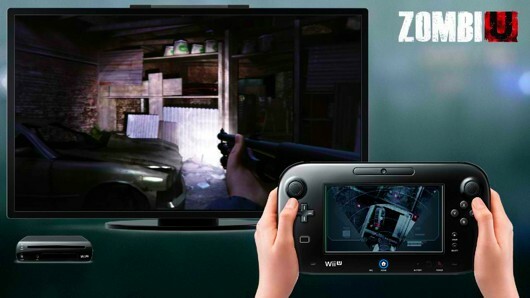 The gameplay trailer that they showcased showed several examples of what actions were available to you through the gamepad. Hacking doors, scanning the room for special items, acting as the sniper scope for your guns. Really excited to get hands on with this console and see how well it all works together - seamless, hopefully. Remember how Playstation Home was a huge success and everybody loved it? Nintendo Land is the second coming of the virtual world and I can't see it being much more successful than the disaster that was Playstation Home. - Super Mario Bros U. The usual affair but this time you can move the action from the TV to your WiiU gamepad. Overall Nintendo started with an intriguing reveal of a new game (Pikmin 3) but finished with a disappointing virtual fireworks display. I didn't expect a huge library announcement but with the titles not stretching far beyond "just another Mario" it's hard to get excited for the new WiiU.